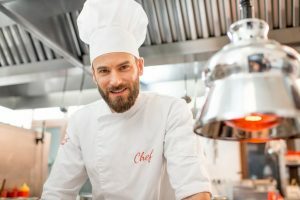 Plenty of commercial kitchen owners and managers aren’t aware of their obligations when it comes to properly maintaining their commercial kitchen exhaust systems. Some think they can just clean the range hood and attach a certificate of cleaning — and think they’re off the hook. That’s not the case at all, though – as many people discover when a dangerous flash fire erupts in their kitchen. As the owner or manager of a commercial kitchen, you should know that you are required to keep the hood, filters, fan, and all associated horizontal and vertical ductwork in order to comply with the law and protect your kitchen from flash fires. You’re responsible for the inspection, testing, maintenance, and cleanliness of all ventilation control and fire protection systems in your commercial kitchen. Sounds rather daunting, right? But it doesn’t have to be. How often does my kitchen exhaust system need to be cleaned? It depends on how much grease you use in your kitchen. Fast food kitchens and others that fry and broil frequently require much more frequent cleaning – we recommend monthly hand-scraping, and biannual steam cleaning. Most other restaurants can get away with being cleaned every 3 months. Many managers and owners sign up for monthly hand scraping and steam cleaning once a quarter. This is an excellent way to go because it provides optimal protection for a reasonable cost. Hand scraping is a simple, effective way to remove built-up grease that was vaporized during the cooking process. Steam cleaning is a more thorough cleaning method, though it requires more time and effort. Pairing both cleaning methods is the best way to ensure your commercial kitchen exhaust system becomes and stays clean, safe, and code-compliant. What if my exhaust system doesn’t have enough access panels? Don’t worry if your commercial kitchen lacks some access panels. We can install them for you using NFPA 96 and California Mechanical Code approved methods and materials. How can I prove that I’ve met my obligations? After each cleaning visit by our expert technicians, we’ll provide a “Certificate of Performance” sticker to serve as proof that you’ve fulfilled your NFPA code obligations. These stickers keep code inspectors satisfied and may even save you money on your insurance bills. Flue Steam employs an extensive team of licensed technicians who have plenty of experience and expertise to complete your flue cleaning and other services perfectly. We also carry complete liability insurance for your peace of mind. Call us today to schedule your first cleaning service at 800-700-FLUE.